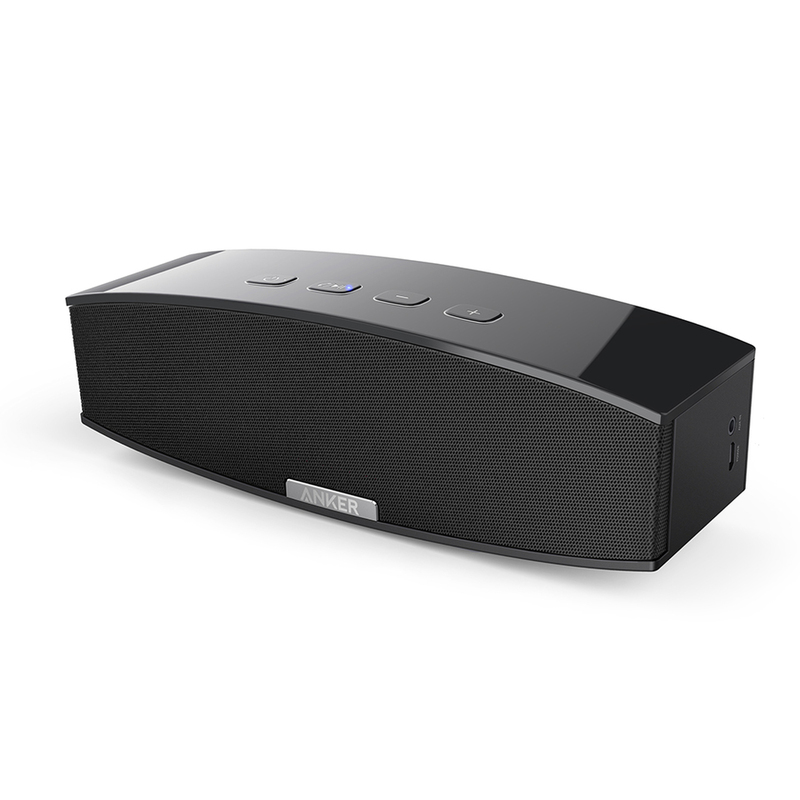 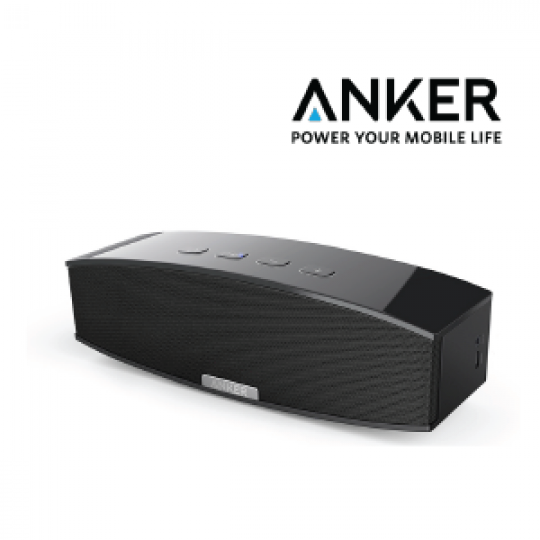 Anker Premium Stereo Bluetooth Speaker More bass and volume for the music you love. 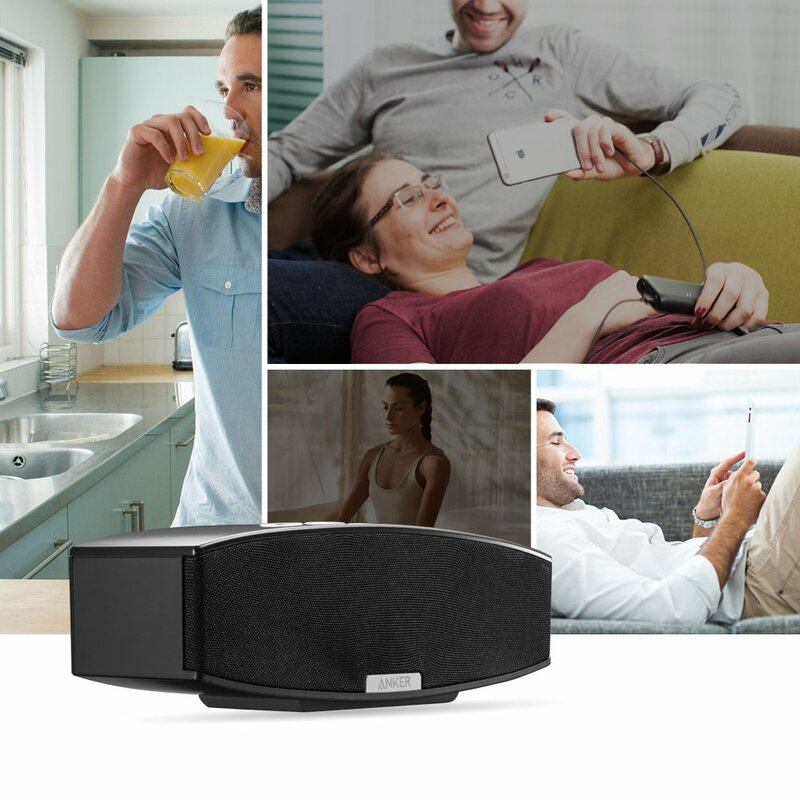 Huge Stereo Sound Whether you're partying, working out, or just lounging around the house, enjoy a full-range stereo sound with impressive volume. 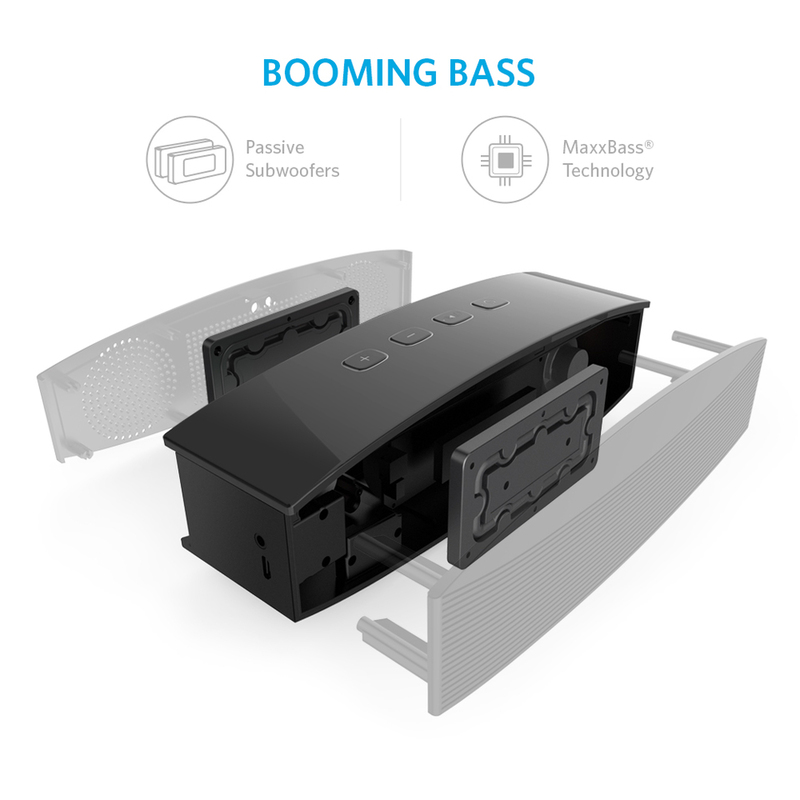 Booming Bass Powered by MaxxBass technology and dual passive subwoofers, to make sure you never miss out on those ultra low frequencies. 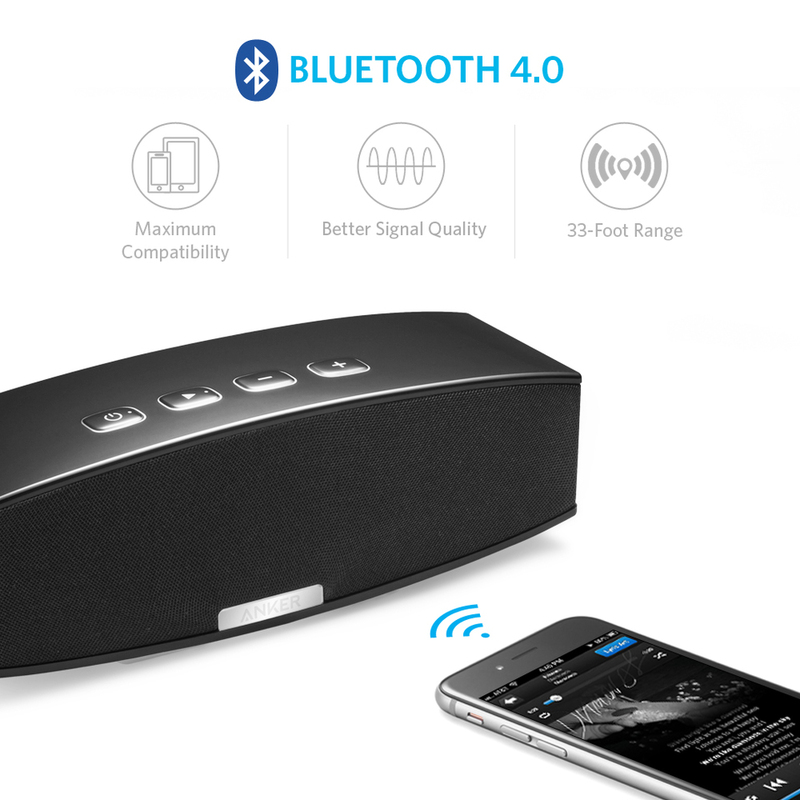 Bluetooth 4.0 Connectivity Unlike other speakers, Anker uses the very latest Bluetooth technology to maximize device compatibility and pairing speed. 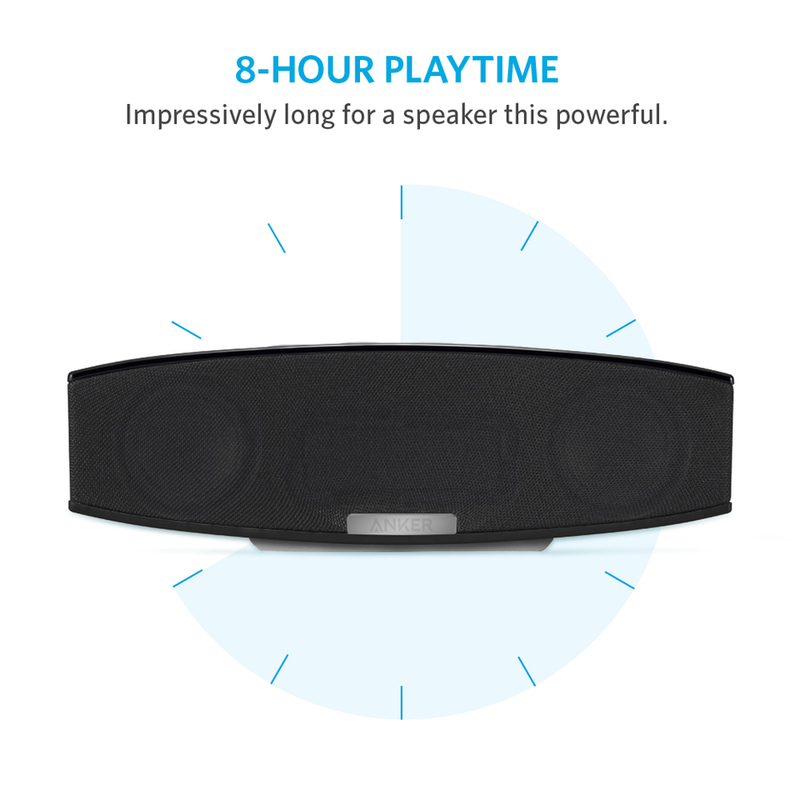 8-Hour Playtime A powerful built-in battery lets you play up to 160 songs at 50% volume on a single charge- that's pretty impressive for a speaker this powerful. Unlike other speakers, Anker uses the very latest Bluetooth technology to maximize device compatibility and pairing speed. 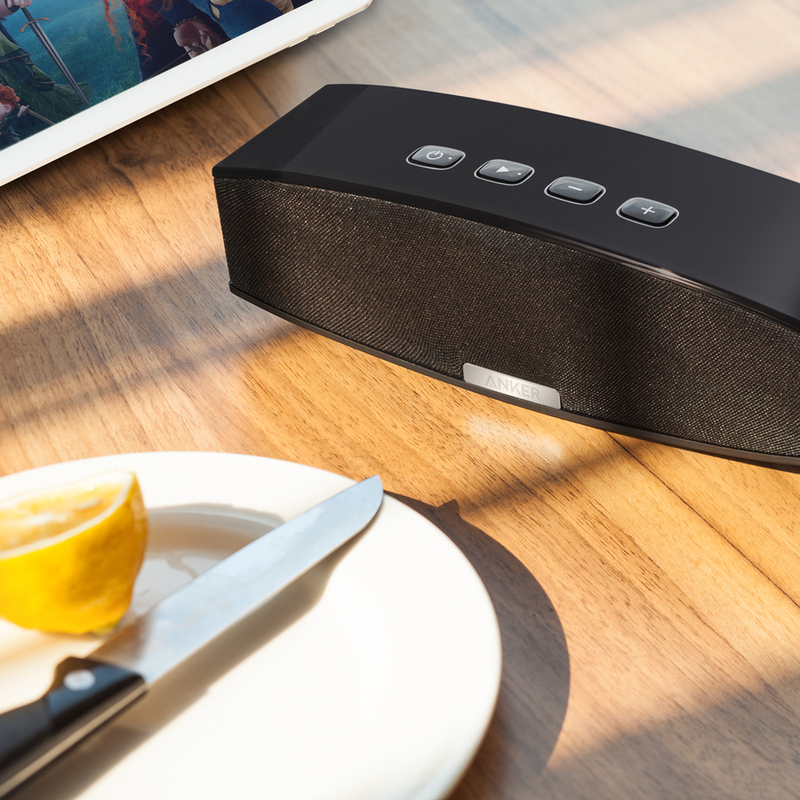 A powerful built-in battery lets you play up to 160 songs at 50% volume on a single charge- that's pretty impressive for a speaker this powerful.